We have a lot of it. The truth is, it all ends up there. This prized new leather couch I’m sitting on. The stuff I donated which will hopefully at least be used before being tossed.We throw a lot away. This month, because of the move, I find we are creating more trash than ever. This doesn’t even count the bags I filled a couple of weeks ago. 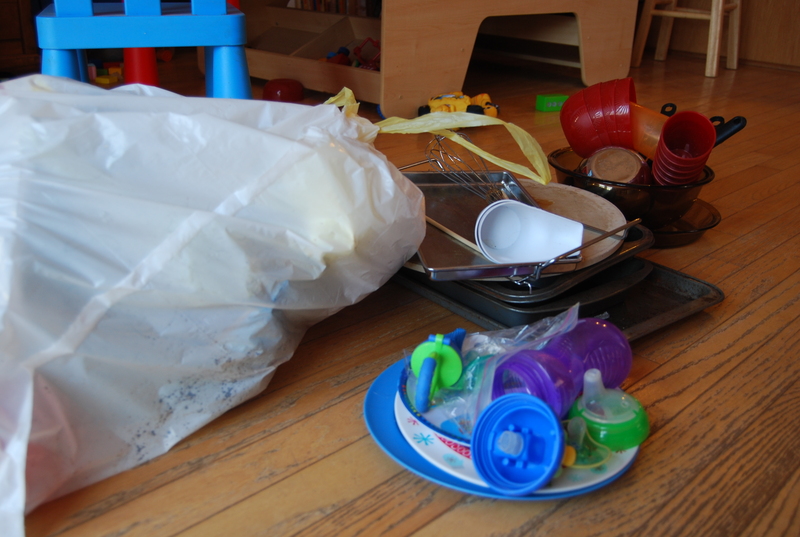 I heard about the blog ZeroWasteHome which has highlighted for me how much waste our family of 4 produces. We recycle a lot. We reuse a bunch. And while that’s great, the problem is, we’re still bringing in a lot of …well, stuff. We have a waffle maker for example. I can probably count on one hand how many times we’ve used it. Does having a waffle maker really improve our quality of life? Is it really worth having when we probably would have enjoyed some pancakes just as much? 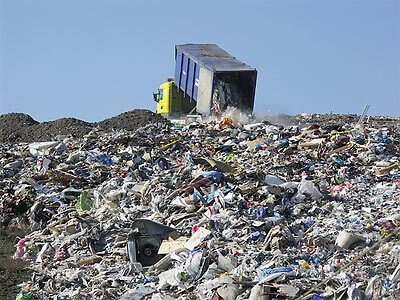 While I am not ready for a huge life overhaul (baby steps), for the next month (with extra motivation because owning less means packing less) I’m going to picture everything I purchase in a landfill before buying it. Since, eventually, I’ll be dead, my great, great grandchildren will be long gone, but that waffle maker I bought at Target that one time because it was $12 and I used it 5 times to make waffles that were kinda “eh”… It will still be there. Just. Sitting. What do you think about your “Stuff”? Too much? Not enough? how do you control all the stuff in your home? I keep purging and purging, but can’t seem to get rid of enough. I don’t feel like that much comes in. Yet, somehow, I am surrounded by stuff. We donate once a season, usually mostly clothes and toys. I long to be a gypsy that can pack everything in a car and move on if I wanted to.